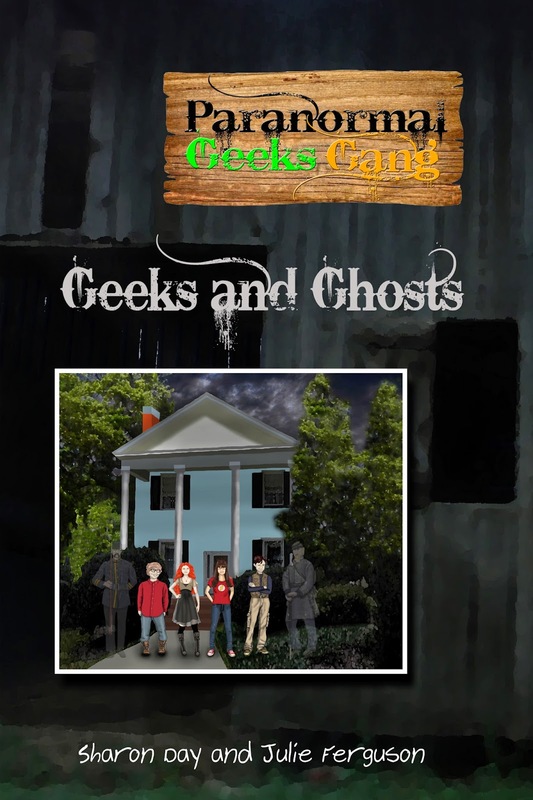 Out on Kindle and Nook and paperback on Amazon, "Paranormal Geeks Gang: Geeks and Ghosts"
Team members: She-She our psychic, Kennedy our skeptic and scientist, Ben our adventurer, and myself Clayton, the historian and artist. Clubhouse: The barn on She-She and Ben’s historic estate that was once a field hospital during the Civil War and is very haunted. Goal: To seek out answers to unexplained and paranormal mysteries. First study: Ghosts – Do they exist? Can they communicate? Tasks: She-She will determine which ghosts on the estate we will study. Ben will prepare the barn as our clubhouse. Kennedy will research ghost hunting techniques. I will design the logo and make a sign to hang up to mark our clubhouse.